Gary Gygax and Dave Arneson made many design choices while creating their Original Fantasy Adventure and Role-Playing Game. Many of those decisions included borrowing ideas inspired by their extensive reading. One concept, which has appeared in every edition of the World's Most Popular Fantasy Role-Playing Game is Alignment. Alignment has changed over the editions, starting out as Law, Neutrality and Chaos, later Good and Evil was added, and the suggestions for how character alignment might be used has changed, but it remains an identifying factor which sets the franchise apart from many later FRPGs. Character Alignment, Including Various Monsters and Creatures: Before the game begins it is not only necessary to select a role, but it is also necessary to determine what stance the character will take — Law, Neutrality, or Chaos. I interpret this to mean what "team" does the character fight for? Men & Magic follows this statement with a table dividing the creatures found in the implicit milieu into those aligned with Law, Neutrality and Chaos. Having read the Elric novels (Michael Moorcock) and Three Hearts and Three Lions (Poul Anderson) in which a similar conflict exists in literary form, I feel comfortable interpreting White Box alignment in a somewhat similar manner. Law represents the society of men and certain other creatures who believe in laws and inalienable rights, goodness and mercy, the established order, etc. Chaos in many ways represents the opposite, lawlessness, overthrow of the established order, self interest and oppression, etc. Creatures who follow the values of Chaos are generally opposed to those who support Law. Neutrality is the in-between. Those who follow Neutrality don't necessarily side with either Law or Chaos and may reject the concepts altogether, or wish to maintain a balance between the two opposing forces. It makes for a nice three-way source of friction facilitating conflict which is of course interesting to say the least. 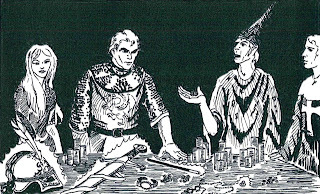 There is considerable confusion in that most dungeonmasters construe the terms “chaotic” and “evil” to mean the same thing, just as they define “lawful” and “good” to mean the same. This is scarcely surprising considering the wording of the three original volumes of DUNGEONS & DRAGONS. When that was written they meant just about the same thing in my mind — notice I do not say they were synonymous in my thinking at, that time. 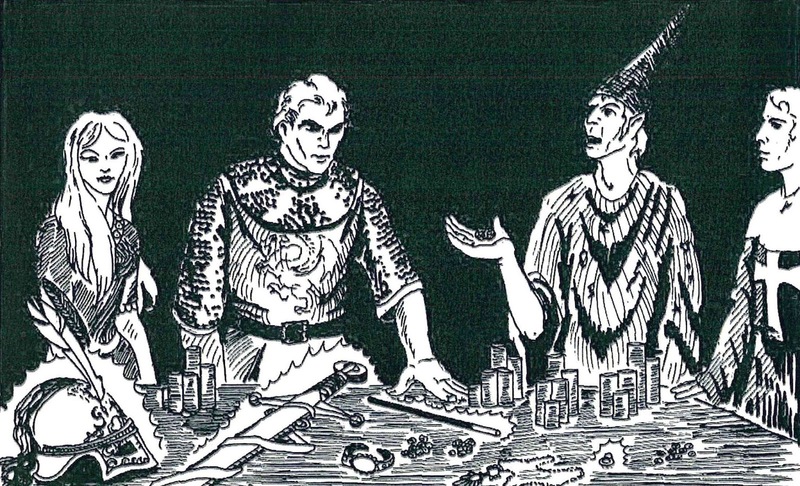 The referee or "dungeonmaster" may try to strictly follow Mr. Gygax's intent or may a free interpretation as to how alignment should be seen in their own campaign milieu. Taking the rules as written to be guidelines, I prefer to interpret alignment for my players who ask about it. Of course, they are free to state their character believes something different and act accordingly. To me this is a form of Neutral behavior and as referee I treat it as such. The descriptions are generalizations only. A character can be basically good in its “true” neutrality, or tend towards evil. It is probable that your campaign referee will keep a graph of the drift of your character on the alignment chart. This is affected by the actions (and desires) of your character during the course of each adventure, and will be reflected on the graph. You may find that these actions are such as to cause the declared alignment to be shifted towards, or actually to, some other. The overall behavior of the character (or creature) is delineated by alignment, or, in the case of player characters, behavior determines actual alignment. Therefore, besides defining the general tendencies of creatures, it also groups creatures into mutually acceptable or at least non-hostile divisions. In the last line quoted above, I see a recognition of the team alignment concept I first saw in Men & Magic. As a game characteristic that encourages friction and produces conflict between player characters and competing forces within their milieu, Alignment is both useful and distinct. Alignment adds a faction or team concept based on world view that is a unique take on the kind of factionalism that has split societies along religious and ideological lines throughout human history. Simply put, it makes for an interesting narrative. Alignment is seen as a code or ethos which both governs the individual's beliefs and behaviors and is an accumulated evaluation of one's deeds. This is probably the most common interpretation of Alignment and is understandable as such given the words written in the Advanced Game volumes. Alignment is one of the concepts frequently dropped by house ruling referees and designers of other fantasy adventure systems, but I have found a useful tool for organizing the factions which add depth and opportunity to the fictional world of adventure gaming.